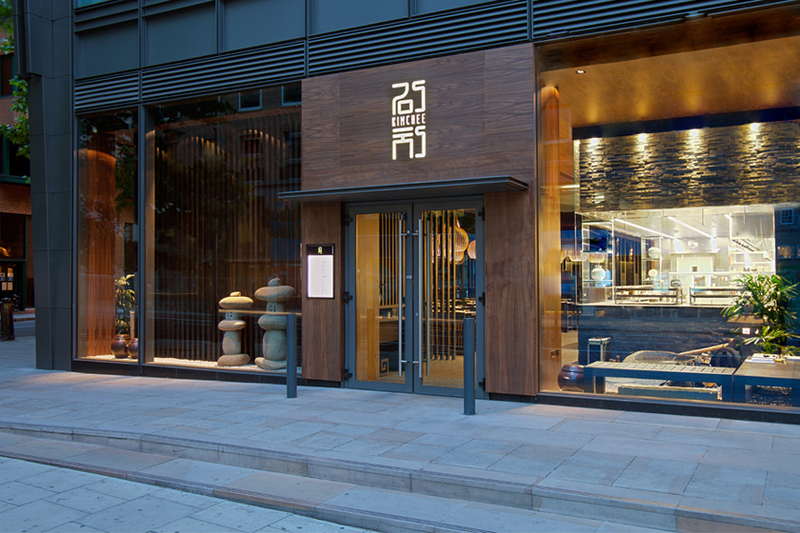 Kimchee is situated in the bustle of Holborn and serves up Korean dishes. 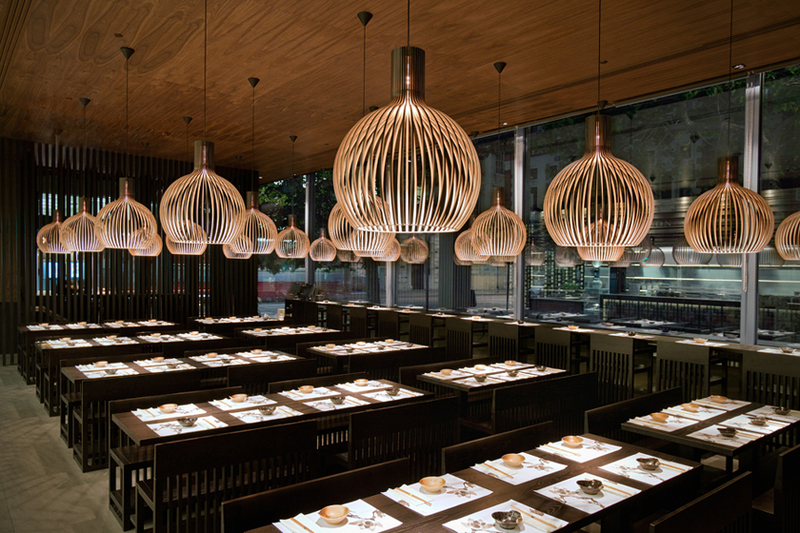 The restaurant seating is a similar set up to Busaba Eathai, but the interior here is quite contemporary in comparison. Our starters we selected were Mackerel Jorim (mackerel fillet cooked in garlic, ginger, green and red chillies and soy sauce, served with rice cakes, mooli and sesame garnish) and Chargrilled Scallops (pan-fried scallop glazed with a sweet soy sauce). 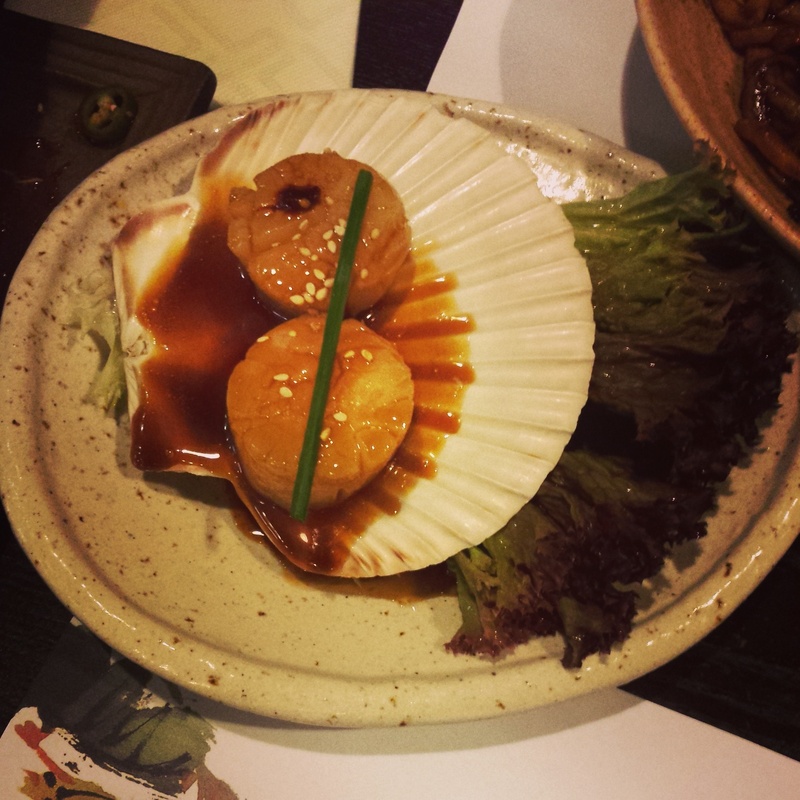 I had high hopes for the scallops, however unfortunately these had cooled down completely by the time it came to us. I was not too keen on the presentation and the taste resembled a seafood stick; the sweet soy sauce on top did not add any flavour to the scallops. I would not recommend this dish! On the flipside of things, the second starter was the opposite; the mackerel was bursting with smoky and tangy flavours. The mackerel was not overpowering, as sometimes it can be. A small tip, watch out for the fish bones. This is dish was a pleasant surprise and was a flavoursome journey for my tastebuds. 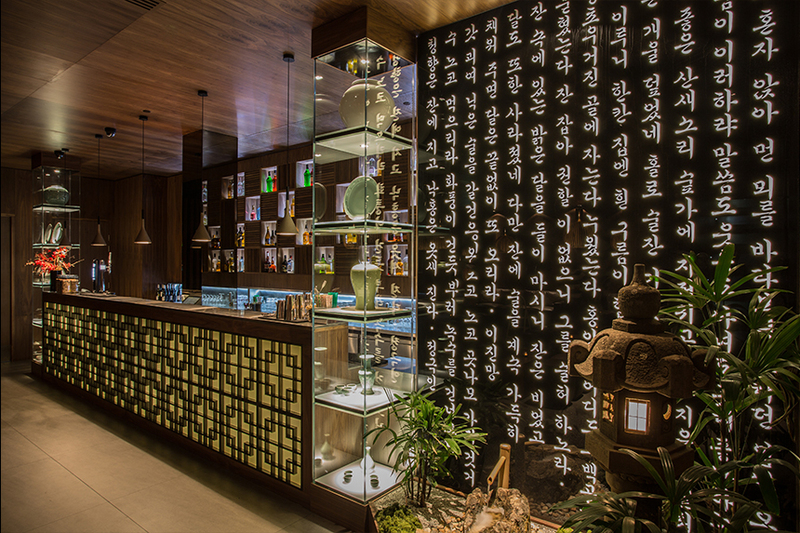 With the above in mind, Kimchee is a decent restaurant as along as you select the right dishes. Also bear in mind that starters and mains are served at different times here, so you may end up trying someone else’s food (which is not always a bad thing). 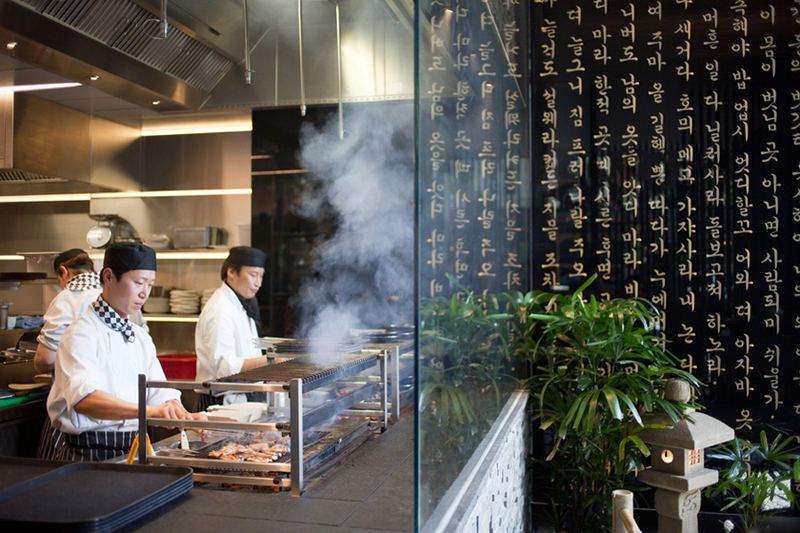 If you think the restaurant looks sleek, then you have to check out the ultra-cool Kimchee bar. 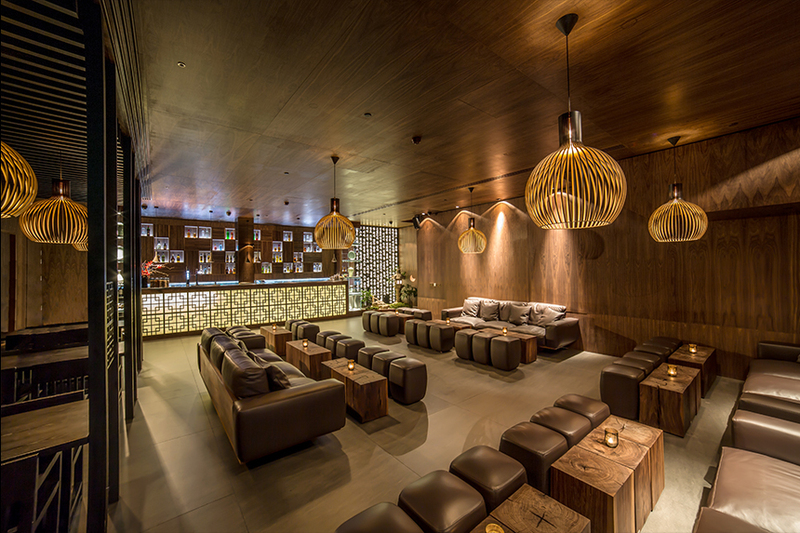 This bar is great if you want to chill and have a drink after your meal or even solely go to the bar for a catch up. 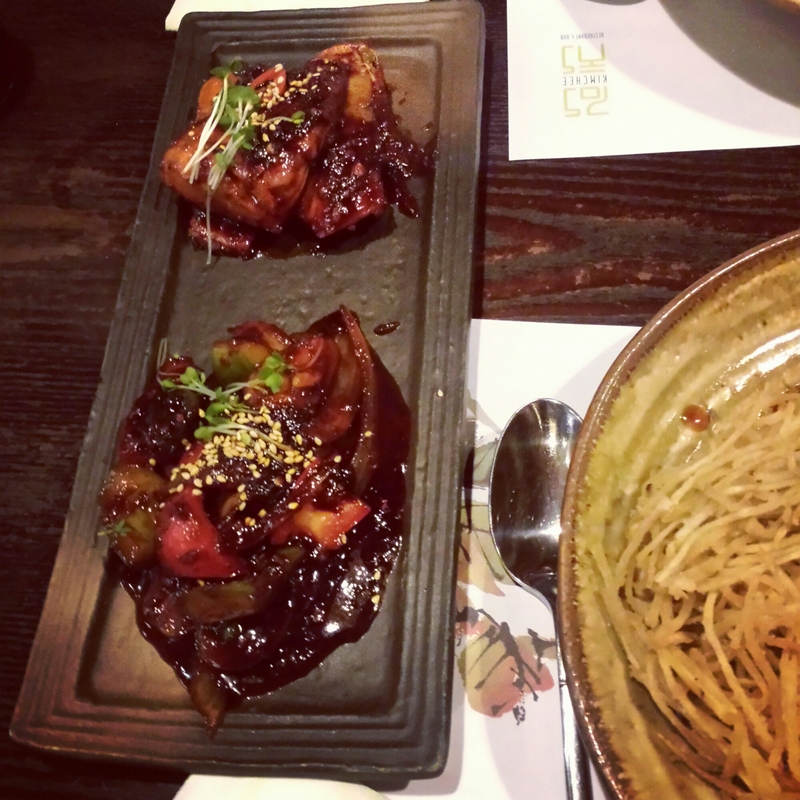 – If you order quite a few dishes, then please note this may not fit on the table! 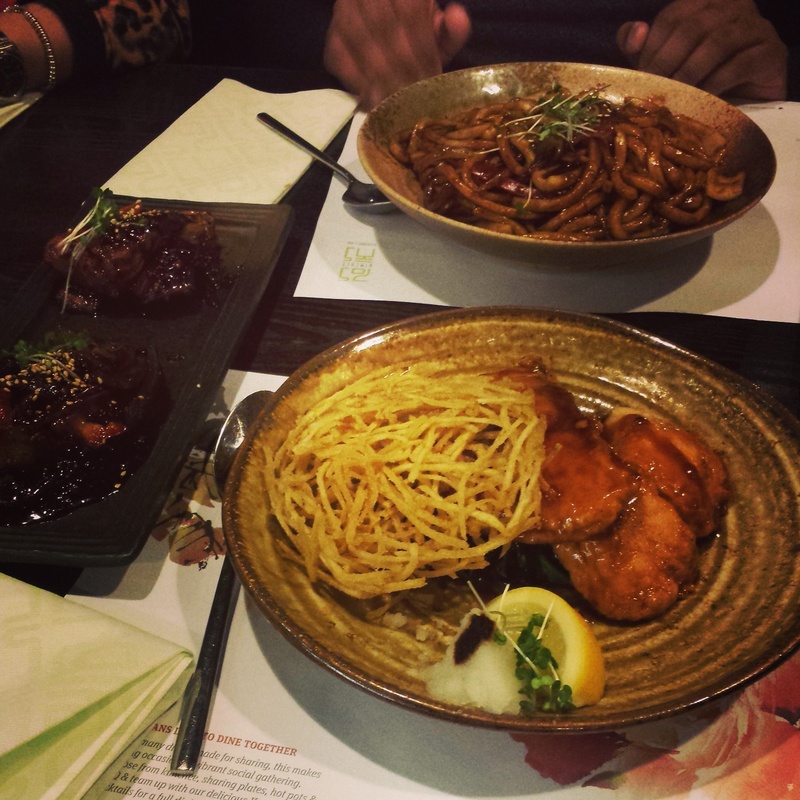 Let us know your thoughts about Kimchee and tweet us @LondonKiLadki.